Making craft beer is always such a tantalizing mix of art and science, risk and innovation. Even more so when barrels are involved in the process. After all, you never know what you are going to get when a beer is put into a barrel. Ambient yeast and wild bacteria come into play – which can turn the beer into something absolutely magical, or, it can take an amazing beer and turn it into something that ends up being poured down the drain. 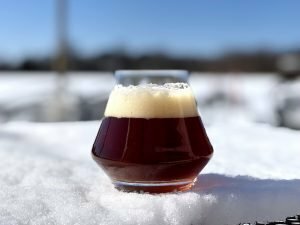 Even though there is risk, we barrel-age and barrel-ferment to achieve a sort of alchemy that results in a rare breed of beer that can’t be achieved with just stainless fermenters – a beer with layers of complexity and flavor. A beer that deserves to be slowly savored sip by sip. 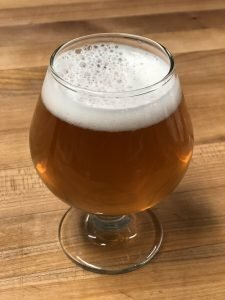 Over the past several years here at Throwback Brewery, we’ve been experimenting with a wide variety of barrels (gin, rum, pinot noir, bourbon, white wine, and more), as well as a variety of barrel-aging and fermenting techniques. This has resulted in a set of beers that we are extremely proud of – so proud that they fall into a category we are calling Rare Breed. Today, we are extremely excited to announce the launch of our Rare Breed Series, which features unique and whimsical barrel-aged beers that are often made only once, yet are extraordinary enough to be bottled and shared with you. While we may make many barrel-aged beers over the course of the year, only the very, very best will make it into the Rare Breed bottles. Peach & Apricot Pinot Noir Barrel-Fermented Sour – This hazy, golden-colored, barrel-fermented sour is finished with peaches and apricots. It’s packed with layers of flavor – stone fruit (peach, apricot, nectarine) up front, with a well-balanced tartness, and a slight funk and oakiness from the pinot noir barrel. We previewed this beer early this year, and it earned the second highest rating of any beer we’ve ever made on Untapp’d. 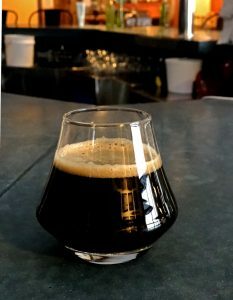 Port Barrel-Aged Five Minute Fugitive Russian Imperial Stout – We took one of our highest rated beers ever, and aged it in a port barrel for 10+ months. It’s outrageously smooth with a jammy nose and sweet flavors of cherry, berry, and coffee & cream. We are going to be offering a sneak peak of this special beer at our Black Friday event! 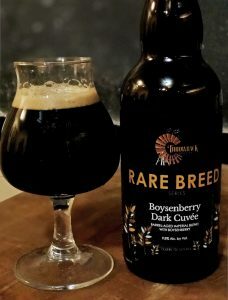 Berry Dark Cuvée – a cuvée of a rum barrel-aged Imperial Porter with a Four Roses Bourbon barrel-aged Imperial Stout finished with boysenberries. It’s big and boozy with notes of dark chocolate, black coffee, tobacco, and red wine. Gin Barrel-Aged Berliner – a slightly tart, gently complex beer with notes of pine, oak, citrus, earth, and light cranberry. So smooth for a beer that started as a sour! The last two beers in the series will be announced earlier next year, and will be what we deem to be the very best of the 15 barrels we have in circulation. We already have some top candidates in mind! The first of the Rare Breed bottles will be released the first week in January. Every two weeks after that, a new bottle will be released. When you sign up for the series, we will send you an email notifying you when each of the beers are available, when you can pick them up, as well as some detailed tasting notes. The Inaugural Rare Breed Series will go on sale this Friday, November 23rd at 2pm, and will be available for purchase until they run out! With any series like this, we assume there will be some questions, so hopefully these FAQs will help! How do I buy into the series? If you are part of our mug club, simply send us an email letting us know if you want one or two bottles of each beer. You can pay the next time you are in! 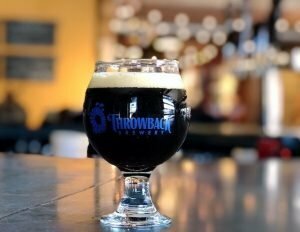 Stop by Throwback Brewery after Thasnkgiving during our open hours. If you want us to take your credit card details over the phone and mail you the punch card for the series, we can do that, but we will add 2 dollars to the price of the card to cover some of the extra fees we have to pay for manually entering in a credit card. If that works for you, give us a call at (603) 379-2317. I’m going away from January – March / I live someplace warm in the winter, can I still sign up for the series?If you are going to be away for the winter, we can hold on to the bottles for you until the middle of April 2019. If you are going away for a few weeks, and are afraid you are going to miss a beer, don’t worry, we will hold on to your bottle(s) for you! Can I just buy one of the bottles? The first six Rare Breed beers will be sold in a series, so you won’t be able to buy individual bottles. Of course! We highly recommend it! 🙂 Please note that we won’t send an email out about the availability of the first beer until after the first of the year, by that time most people have exchanged gifts. Also, we will give you a little ‘punch card’ for the series, as well as a small postcard describing the gift, which can then be given to your friend / loved one/ or yourself! Can I try the beers before buying into the series? The short answer is no – some of the beers aren’t ready yet, and some are already bottled. That being said, you will be able to try the Port Barrel-Aged Five Minute Fugitive Russian Imperial Stout at our Fat Alberta dinner on December 5th and during our Black Friday event! We also expect to preview the Berry Dark Cuvée at our Fat Alberta dinner. Some of you may have had the opportunity to try the highly rated Peach & Apricot Pinot Noir Barrel-Fermented Sour, but, the rest of it is already bottled. Are you still going to do Unafraid of the Dark? Our Unafraid of the Dark had a fabulous 7 year run, and we may be inspired to bring it back again at some point, but, for 2019, there will be no Unafraid series. As a small business we have limited time and resources, we wanted to focus our efforts on only one series this year. 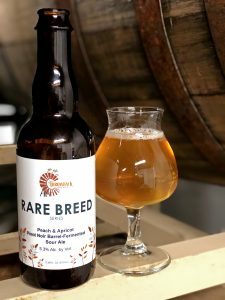 Given how excited our team is about the quality and uniqueness of the barrel-aged beers, we decided to focus on Rare Breed for 2019. This beer series sounds awesome! Can I just stop by every two weeks to try each of the beers instead of buying the bottles? As mentioned above, most of these beers will not be on tap for the general public, and, the only way you can take these beers home is to buy the series. What will the labels look like? Here is a mockup of the Peach & Apricot Pinot Noir Barrel-Fermented Sour!